Ask A Rosscarrock MARKET EXPERT! DESCRIPTION PRICE REDUCED TO SELL! WOW! Looking for great value? MANY, MANY UPGRADES! 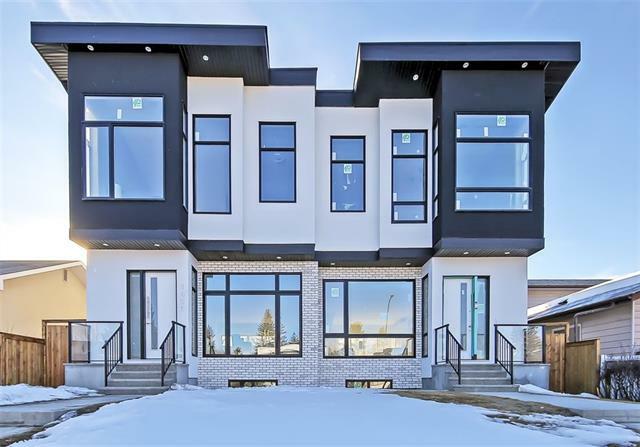 BRAND NEW DETACHED Inner City Infill bright & light w/no details missed! Walk in the front door & you will be welcomed by wide open space flooded w/natural light, 10’ ceilings, wide plank white oak hardwood floors, oversized island, marble stone backsplash, lots of storage, stainless steel appliances, gas cooktop, solid wood doors, gas fireplace & custom handrails. This floor plan is functional & perfect for entertaining. Walk out the back door to a large deck w/BBQ gas hook up. Upstairs you will find 3 well-sized bedrooms, 2 full baths, & upper floor laundry. The master bedroom is complete w/ceiling fan, ensuite spa retreat, dual sinks, large tub & dual walk in closets. Help w/your mortgage or have space for family. This spectacular home has a separate entrance leading to a illegal basement suite complete w/bedroom, full bath, kitchen w/fridge, dishwasher & microwave. Close to all amenities, parks & walking distance to c-train! Electric rough in the basement for an electric cooktop, secondary washer/dryer. Includes high-efficiency carrier furnace & heat recovery system with time control (HRV system). Roughed in for central air conditioning. Grohe plumbing fixtures & LED pot lights throughout. Inner city living at its finest! Home for sale at 1608 44 ST Sw Calgary, Alberts T3C 2A9. 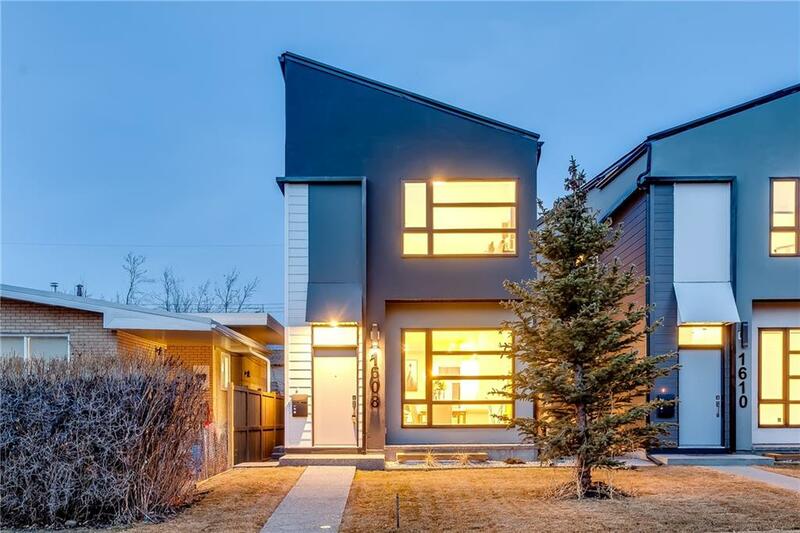 Description: The home at 1608 44 ST Sw Calgary, Alberta T3C 2A9 with the MLS® Number C4236411 is currently listed at $774,900.